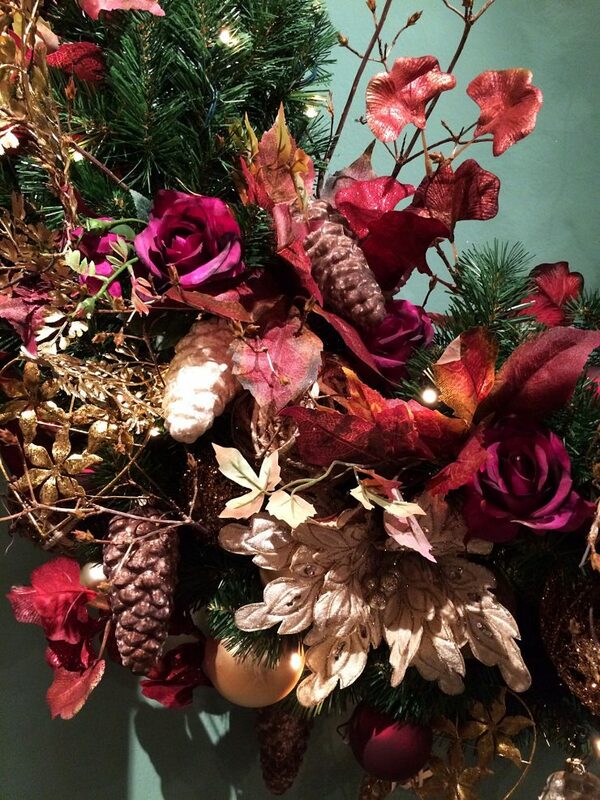 The current fashion for floristry in Christmas decorating has never been more popular, and it’s not all about the poinsettia! These days artificial flowers and plants can look incredibly lifelike. In keeping with Christmas decorating, blooms, sprays and garlands are often sprinkled with glitter and sequins. The USA pretty much owns this look and extravagant floral decorations can be seen in many houses Stateside. This year suppliers at the European trade show Christmas World took inspiration from the 17th century Dutch Masters. These amazing still life paintings show flowers painted in a hyper realist style set against a black background. Now the colourful blooms have been reinterpreted in silk and velvet for the 2016 Christmas market. 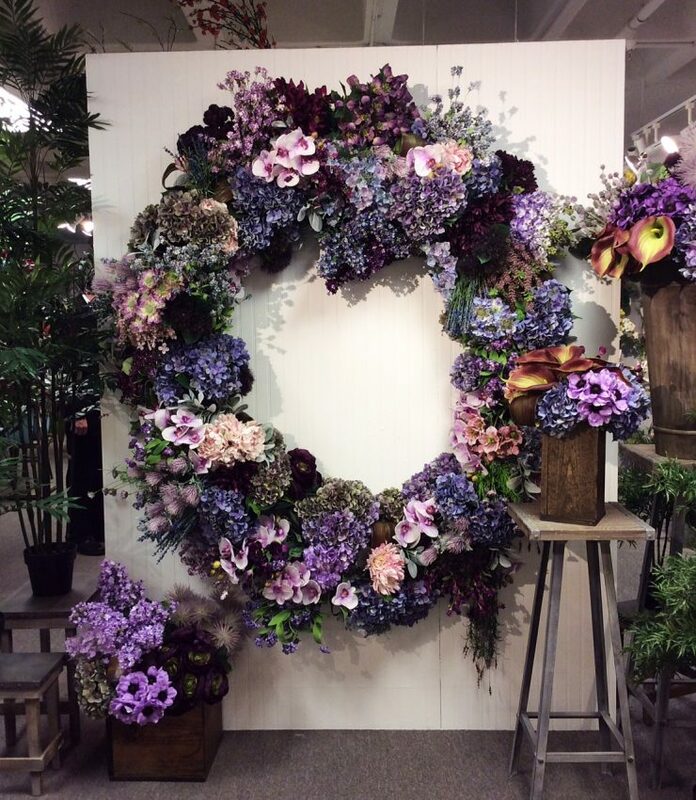 Artificial or faux flowers and plants are now found in most of the fashionable interior stores, Abigail Ahern (UK stylist) even has her own faux floristry range. These days the quality is amazing so incorporating fake flowers into your display can be guilt free! Larger blooms can span up to 25cm which means they’re a great space filler and a useful technique if you’re decorating a large tree. Keep to a restricted colour palette, three colours should be enough. 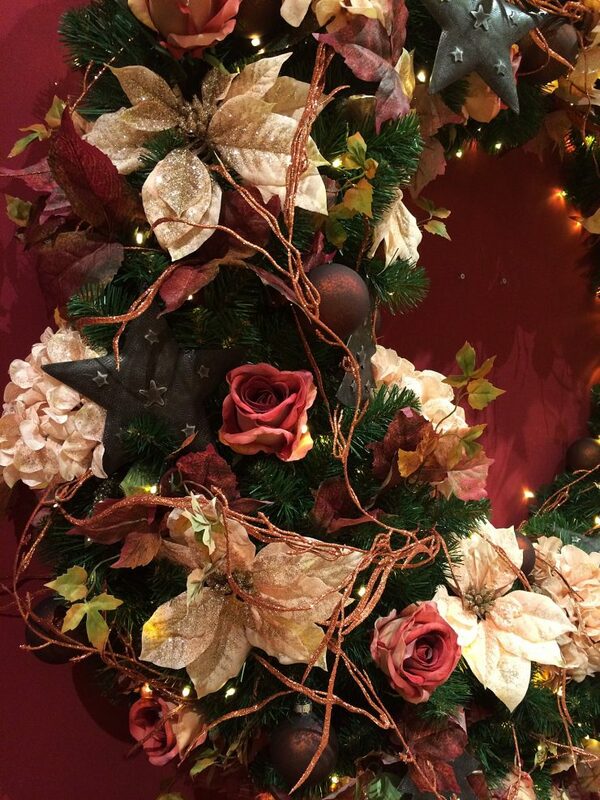 Blending flowers with sprigs of greenery, baubles and ribbon adds to the overall cohesion and makes for a more balanced effect.